Information for students considering changing their current or intended major. Can I Enroll in Your Classses This Fall Quarter? Can I Have Someone Tell me What Classes I Can Take In The Summer/Fall? Who Can I Talk to About Student Experence in ICS? Can a New Transfer Student Change Majors? I am an admitted student interested in attending UCI. Can I have someone review my transcript and tell me what I credit I have? ICS accepts applications for change of major after requirements are met and grades are posted on your transcript. Change of major is not automatic. It is a carefully thought out process that takes early planning, a good work ethic, academic strength, and a clear graduation plan toward your new major. Meeting with an academic counselor or peer academic advisor is recommended. They will help you determine the most efficient way for you to meet the degree requirements of your new intended major. If you are eligible to change, submit a Change of Major Application online through your Student Access page. Applications are processed after grades are posted. Allow for 2-3 weeks' processing time. Visit the UCI Change of Major Criteria website for a listing of specific change of major guidelines for our majors. Note: we do not make exceptions to policy. Most majors have a unit cap. BIM is a capacity restricted major. Change of majors will only be admitted if space is available. Change of major criteria applies to students with 120 units or less. Please see UCI's change of major guidelines for additional information. Please be aware that submitting an application does not guarantee that you will be admitted. Should your application be denied, you will be contacted by an ICS academic counselor. Visit the UCI Change of Major Criteria website for a listing of specific change of major guidelines for your intended major. Meet with an academic counselor or peer advisor in the school of your intended major; they can help you create an academic plan that will help you meet your goals. At present, ICS is not accepting pre-admission change of majors. Students interested in our program must matriculate into their major of admission and meet the change of major criteria for your intended major. Please contact your admissions counselors via the Message Center on your MyAdmissions page to find out if you can change of majors prior to the May 1 SIR deadline. Students interested in a specific major must find out if they willl have to matriculate into their major of admission and meet the change of major criteria for their intended major. » ﻿Can I Enroll in Your Classses This Fall Quarter? Our courses are restricted to majors only to accommodate our new admitted students in the fall. Open seats, if available, will be announced on our course updates page. Note: Our courses may be blocked to majors only in the beginning. » ﻿Can I Have Someone Tell me What Classes I Can Take In The Summer/Fall? This information can only be provided during summer orientation. All students must go to mandatory summer orientation. Course registration will also take place at this time. Change of majors must go to the summer orientation of their school. We are unable to review your coursework and provide advising. » ﻿Who Can I Talk to About Student Experence in ICS? Please visit with our Peer Academic Advisors. They are students in our majors and can give you some great advice. » ﻿Can a New Transfer Student Change Majors? Transfer students are encouraged to accept admission to a computing major they are directly admitted into (instead of pursuing a change of major) and make efficient progress to degree. If a transfer student wishes to pursue the change of major, he/she may view our change of major criteria. 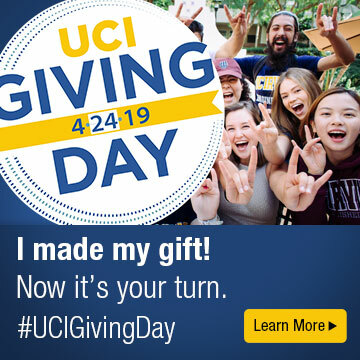 » ﻿I am an admitted student interested in attending UCI. Can I have someone review my transcript and tell me what I credit I have? Due to the large number of admitted students, we cannot provide this service at this time. All admitted students must go to mandatory summer orientation. Your transcripts will be reviewed and evaluated for course credit at this time. Change of majors must go to the summer orientation of their school. We are unable to review your coursework and provide advising. Your academic counselors will review your transcript and provide an evaluation.